Cellcom has introduced a line-up of Internet of Things (IoT) sensors to help businesses manage and monitor various aspects of their operations. The IoT solutions from Monnit are a collection of wireless sensors that are embedded with power and internet connectivity to remotely monitor elements, activity, conditions, materials and more. There are more than 60 sensors available that monitor everything from air and water temperature, to motion and vibration, to gas and electricity and more. These wireless sensors are battery powered, hardwired for AC or solar powered and work with a Monnit gateway and Cellcom’s Cradlepoint router to send alerts to a user based on sensor data. These real-time alerts can be delivered via text, email, mobile application or web portal and are designed to help businesses constantly monitor aspects of their operation without manpower. Deploying an IoT sensor can save time, money and resources. Use cases range from detecting problems early before they become bigger, more expensive ones or automatically tracking assets for security and efficiency. They could also be installed to monitor conditions to identify optimal trends or harmful environments. From retail to agriculture, property management to industrial settings, the sensors have applications for a host of vertical markets. 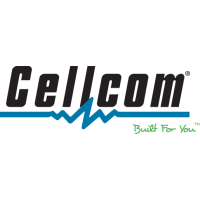 Cellcom IoT solutions are easy to deploy and easy to maintain with a 10+ year battery life, over-the-air updates and no additional software required. Sensors start at $79.95 and monthly service plans start at just $6/month. To learn more visit www.cellcom.com/IoT or visit www.youtube.com/mycellcom for a look at some of the sensors in action.